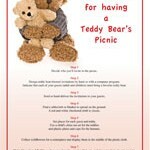 Would you consider holding a Teddy Bears Picnic or Afternoon Tea in aid of A Little Lifetime Foundation? If so, please register with us and we will send you a Teddy Bear Picnic Pack free, which includes information and ideas for holding a picnic, recipes, balloons and teddy sweets-no artificial colours or flavours! 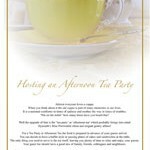 If you prefer the option of ‘Afternoon Tea’ we also have a free pack that we will send to you if you register with us. The pack contains information and ideas, recipes and a pack of tea. Contact A Little Lifetime Foundation at info@alittlelifetime.ie or telephone main office at 01 8829030 and register.